What’s On Stage announced the full cast for “Hamlet” at the Barbican, which makes me even more happy to have booked for it!! <<Full casting has been announced for Hamlet starring Benedict Cumberbatch, which opens at the Barbican Theatre on 5 August. 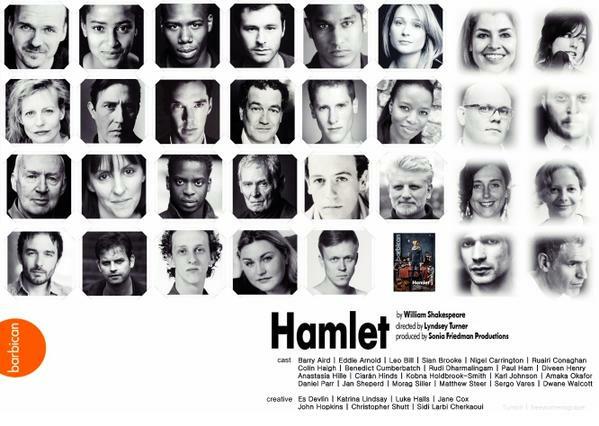 Hamlet, which runs from 5 August to 31 October 2015, is currently sold out; 100 seats will be available for every performance at £10.